As if WWII wasn’t terrible enough, now we have Lovecraftian nightmare fueled Nazis to deal with. You’ll take charge of a small group on a quiet stroll through the Forrest of Fear, killing evil incarnate along the way. 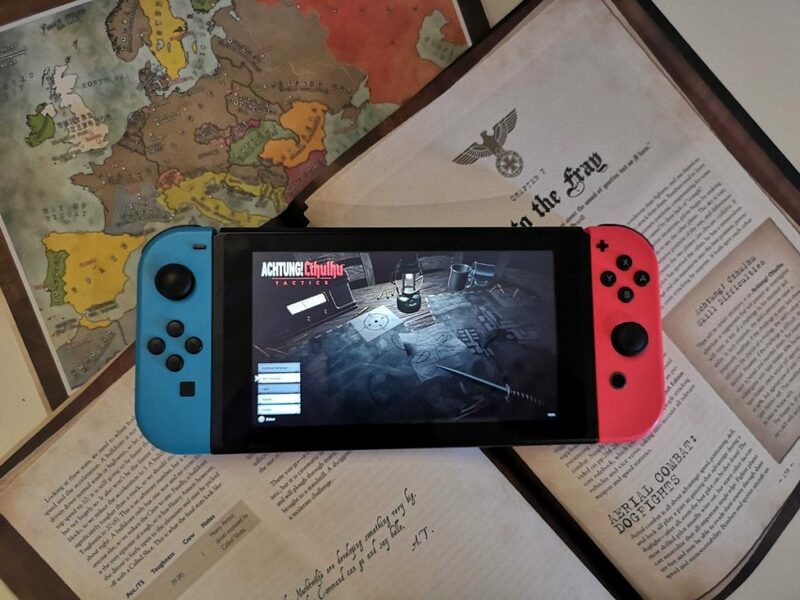 Heavily inspired by games like X-com, Achtung is a tactical shooter that manages to bring a few new mechanics into the field of its very own. Combat feels great, the mechanics for running, gunning, facing, taking cover and using skills are all very well polished. Information was easy to understand, and I never felt bogged down by a complex system. All your actions cost AP, and they can be spent in any way at any time. At the end of each mission, you are rewarded with experience points toward leveling up each soldier. Levels give skill points that can unlock new and useful abilities. 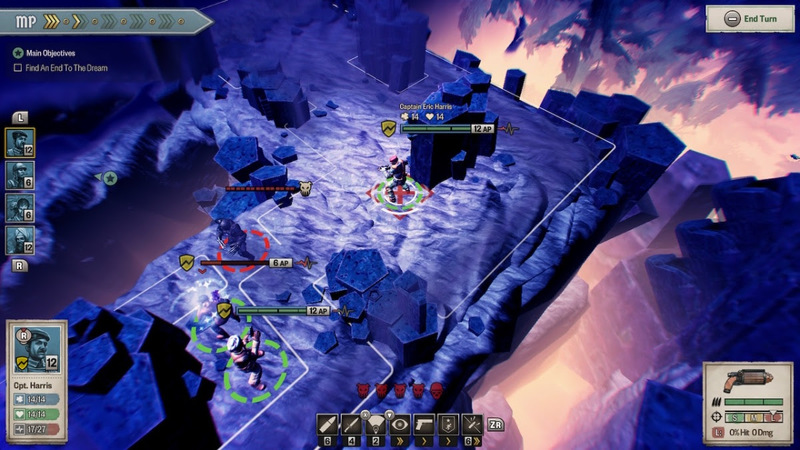 These skills consume “Momentum Points.” MP is shared between the entire team which was a unique system that can lead to some very novel tactical situations. You are also rewarded with equipment to upgrade further and diversify your team. At the beginning of the game, each character feels the same as the others, but by the end, you will have yourself a varied group of trained occult killers. It does have some unique and interesting cards hidden up its sleeves that set it apart from the rest of the strategy games out there. On top of a health bar, each member in your team has a luck meter. When they take damage, luck is spent instead of health. When luck runs out, health damage is then inflicted. At the end of each fight, all luck is healed, but health is not. I thought this might make the game a tad easy, but then I realized something else was happening to my little ragtag band. War is hell, and it takes its toll on soldiers. This burden is inflicted upon your troops in the form of stress. If the stress bar fills up, you could lose control of that character, and any number of uncontrollable things can occur at that point. There was a lot here in common with Mutant: Year One, another great (better) strategy game worth checking out. I did like Achtung’s range and movement UI visuals more than Mutant’s. Here, it is obvious how close to the enemy you need to be to be at maximum range efficiency. However, the exploration mode in Achtung felt like an unnecessary side note that should probably have just been left out. In Mutant: Year One your movement around the map was vital in setting up your strategy before the fighting broke out. Here, it felt like a tedious march from point A to B, C, D and eventually the End. There is no strategy involved in this exploration at all, and it did little to impact the game in any meaningful way. Strategy games are only as good as the enemy AI. You want the enemy to be at least as difficult as pronouncing “Achtung Cthulu”. I played on normal difficulty to get the hang of things. In the first few missions, the AI was so bad that I had to questioned the loyalty of the enemy soldiers. There were entire rounds where none of my men were ever in any real danger. Enemy troops would move, then end their turn. After getting their steps in, my men would mow them down effortlessly. This made things quite dull, but I stuck around for a few missions. Eventually, new enemies were introduced into the mix with new and game-changing powers, they learned where the trigger was, and I realized I was starting to have fun. However, the fun quickly came to a screeching halt. There isn’t much to do when not out in the field. Roosevelt said “Comparison is the thief of joy”, and while that may be true, I felt like this game robbed me of joy. Games like X: COM and Mutant had a wide variety of side projects that helped to break up the monotony. In Achtung, it’s kill, level, rinse and repeat. To top it off It’s not a beautiful game, and the sound effects can get annoying (In fact, I muted the game halfway through and started playing my own music). The voice acting was decent, but it was too little too late. For a game that started out showing so much promise, it ended up being somewhat of a letdown. This is why I can only give Achtung! Cthulu Tactics 5 slimy tentacle monsters out of 10.